Best VW dealership and service department I have ever visited! Every time I walk in I am greeted with a warm smile and positive attitude by Sim Greenfield. I highly recommend it! 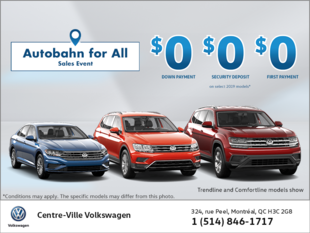 I always get the best service at Centre-Ville Volkswagen. I never have to worry about leaving my car with them because i know they'll do a great job, they always do!